American Flag And Eagle Bone Box - Genuine Bone, Removable Lid, Etched Design, Felt Lined Interior And Bottom - Dimensions 6 1/4” x 3 1/4” x 1 3/4" | BUDK.com - Knives & Swords At The Lowest Prices! 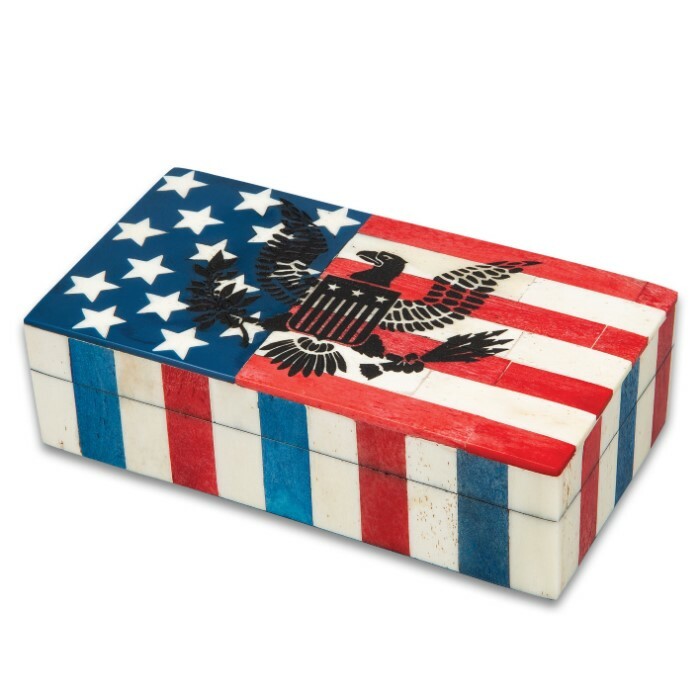 American Flag And Eagle Bone Box - Genuine Bone, Removable Lid, Etched Design, Felt Lined Interior And Bottom - Dimensions 6 1/4” x 3 1/4” x 1 3/4"
Our American Flag And Eagle Bone Box hearkens back to the sailing days of old when sailors carved intricate pictures on bone. 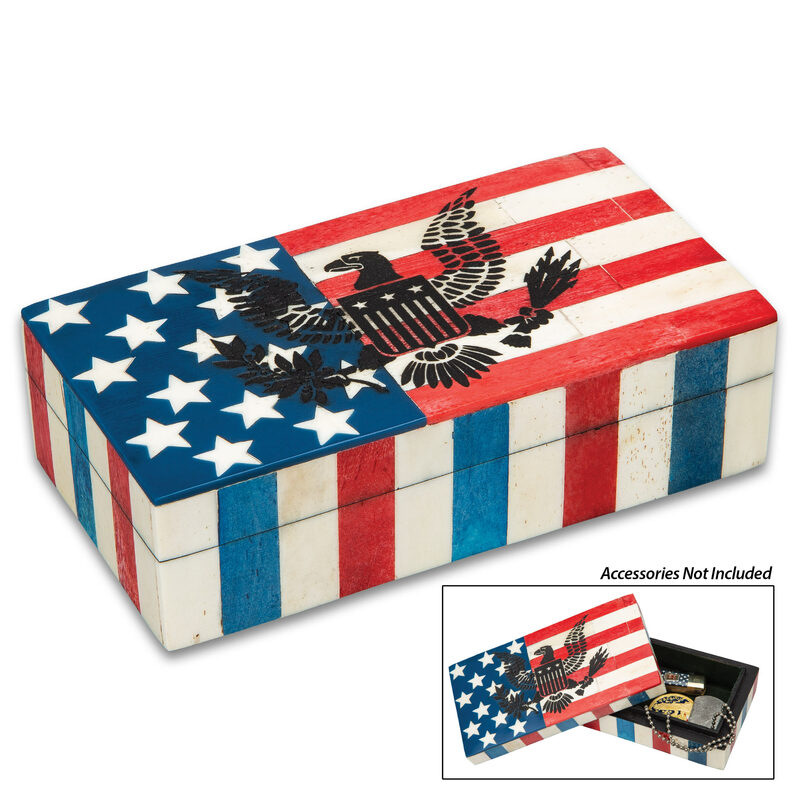 The vintage-looking patriotic box is made of genuine bone with a premium felt lining and it has a removable lid. 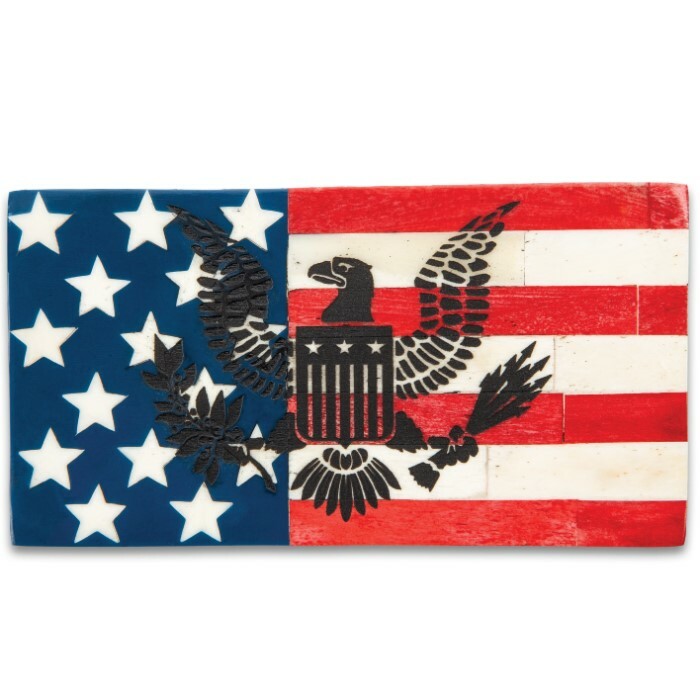 A highly detailed picture of an American Eagle holding arrows and an olive branch has been etched onto the lid, complementing the American Flag background. 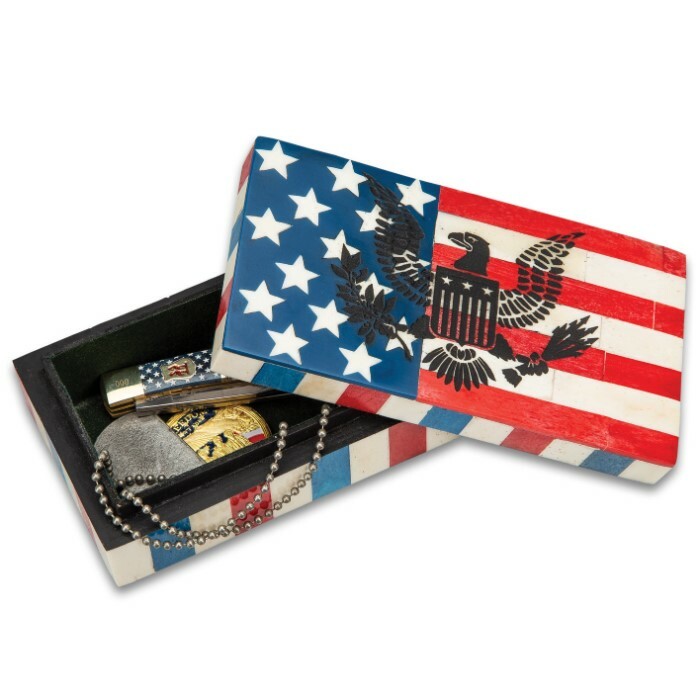 This treasure box makes a nice gift for a man and looks especially good sitting on a desk.